Animal Rights Supporters and Activists - Is There a Hierarchy? If you have already made the change to vegan, then you know what a major transformative step that was - physically, emotionally, mentally and spiritually. But if you are someone who is thinking about making the change, but you don't know how, or feel an addiction to the taste of meat; or if you have tried before and failed; or perhaps you have concerns that your children will lose out on essential nutrients; or maybe you wish to show family and friends how delicious vegan food can be - if so, this information is for you. Explore the world of TOFU. Made from soybeans, TOFU is very high in protein; the firmer it is, the higher the protein content and the less water it contains. When processed with calcium sulfate, tofu is a good source of calcium. 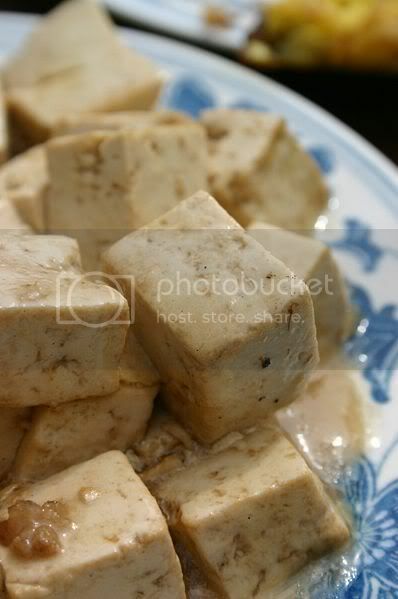 Tofu is one of the most versatile foods available for vegetarians. Prepare TOFU in any of the following ways: marinate, sauté, steam, grill, braise, roast, bake, boil, stir-fry, deep fry, mash, blend, or puree in the food processor. Notice other meat alternatives in the deli case of your natural food market. 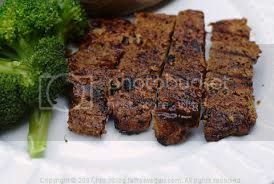 SEITAN, made from wheat gluten, is high in protein and can lend a meat-like texture to many dishes. SEITAN can be sliced, ground, chopped, or diced and will readily absorb definitive seasonings when cooked in a stir-fry, a casserole, or in a well-seasoned sauce. Choose low-sodium canned or packaged vegetable broth or create your own flavorful broth with a base of vegetables and water. To season the broth, add a small amount of tamari, BRAGG LIQUID AMINOS, or low sodium SOY SAUCE, a dash of red wine, a clove of garlic, perhaps a squeeze of fresh lemon juice, and season with your favorite herbs, salt, and pepper. VEGETABLE BOUILLON CUBES in imitation beef and chicken flavors are easily dissolved in boiling water to create a quick beef flavored broth, for people who find it hard to give up the taste of meat. Plant-based POWDERED BEEF FLAVORING (available on Amazon) is also a quick method for making beef broth. Both are available in natural food markets. Look for low-sodium options. Awaken to the joy of VEGGIE BURGERS made from soy protein. They won't really fool you into believing they are beef, but they sure are impressive substitutes. Enjoy your VEGGIE BURGER on a whole-grain hamburger bun or tucked into a pita with all the usual fixings like lettuce, tomato, onion, pickles, ketchup, and mustard, and top it with a slice of vegan cheese, if desired. You won't miss the beef! 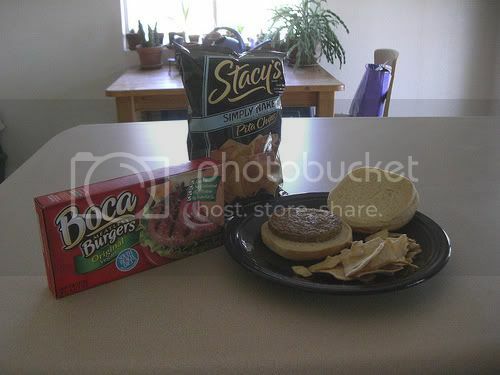 Several vegetarian companies use SOY PROTEIN to create HAMBURGER-STYLE PATTIES.Check the frozen food section of your local market or the natural food market to discover an array of vegetable patties to slip into your burger bun. Try them all to find your favorites. 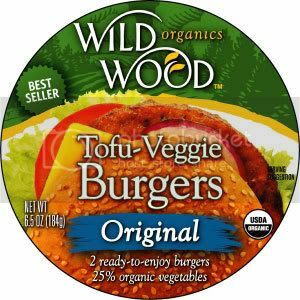 Here are some brands to look for: Wildwood Tofu Veggie Burgers, Maui Taro Burgers, Amy's Texas Burger, Natural Touch Vegan Burger, Boca Burger Vegan Original, Gardenburger California Burger, and Gardenburger Flame Grilled. Choose TEXTURED VEGETABLE PROTEIN, often referred to as TVP, to make comfort foods like Sloppy Joe's,or Chili without the "Carne." TVP is available in tidbits of dried and defatted soybean meal that is highly refined. Once rehydrated, TVP resembles the texture of ground beef. Almost anything you make with ground beef can be recreated with TVP. Simply pour boiling water or vegetable broth over the dried, minced soy protein, and in 5 minutes it will be ready to add to stir-fries, stews, casseroles, sauces, and soups. With a little kitchen magic and a good recipe, you can even form the TVP into a soy patty. Though the TVP has no flavor of its own, it absorbs any seasonings you add. For best results, cook the TVP in well-seasoned sauces with a tomato base, chili, or flavorful marinades. 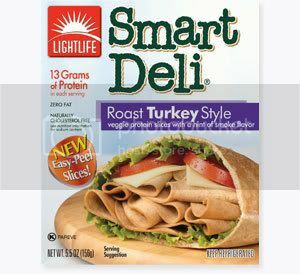 Explore the many SOY BASED LUNCHMEAT ALTERNATIVES made by Yves Veggie Cuisine, Tofurky, or LightLife. Some are very low fat, some even fat-free. Many of these alternatives contain wheat gluten, an excellent source of protein. 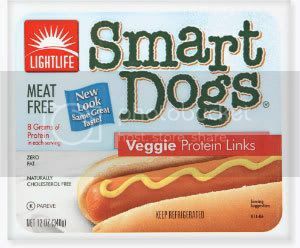 As an added benefit, many of these replacements have fat content as low as 0.5 grams per serving. You may be delighted to learn that you can find soy- and gluten-based alternatives for sliced PIZZA PEPPERONI, BACON, CANADIAN BACON, TURKEY, SALAMI, BALOGNA, and even HAM. Venture into the land of GIMMELEAN, a one-pound chub that comes in sausage or beef flavor. 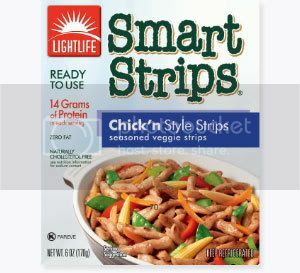 Made by LightLife, this product is fat-free and can be sliced into patties and browned lightly in one tablespoon of oil. 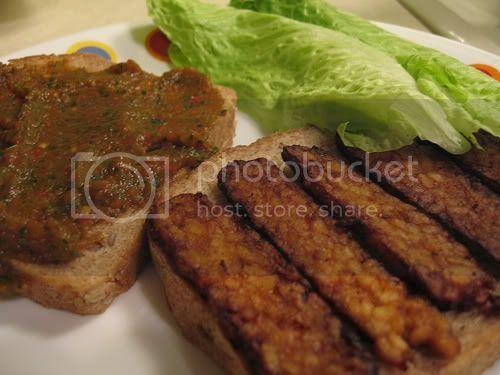 For a great start to the day, use these SAUSAGE PATTIES for breakfast along with some whole-grain bread and fresh fruit. It's quick, delicious, and nutritious. 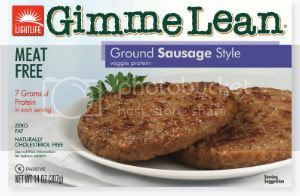 Made from soy and wheat gluten, GIMMELEAN offers flavors and textures that are superbly satisfying. It freezes well and keeps for several days in the refrigerator. GIMMELEAN can also be crumbled into a stir-fry or formed into "meatballs." For meatballs, add breadcrumbs and any of your favorite seasonings and brown in a small amount of vegetable oil. 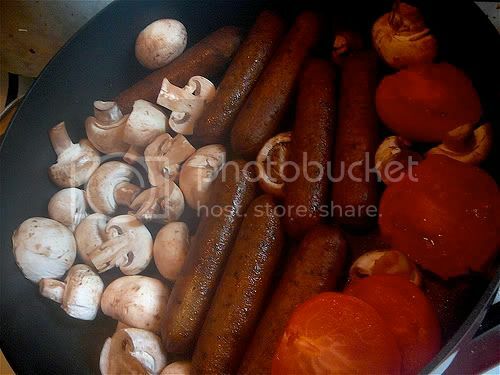 Tofurkey is another brand that manufactures three flavors of GOURMET SAUSAGES: Beer Brats, Sweet Italian, and Kielbasa. 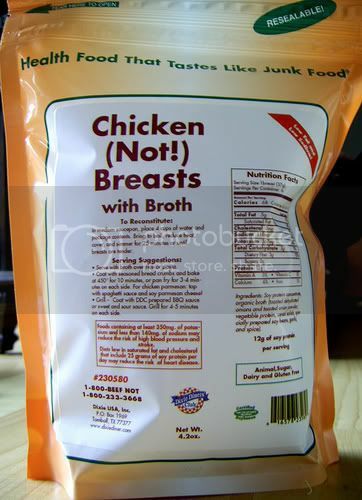 Explore the multitude of frozen chicken substitutes made from NON-GMO SOY PROTEIN and WHEAT GLUTEN. Tastes and textures are very close to the real thing, and you benefit from a reduced intake of saturated fat and eliminate the cholesterol altogether. Many Asian markets will have FISH FLAVORED SOY PROTEIN in the freezer section. Innovatively created to even look like the real thing, several varieties come in fish-steak slabs with nori seaweed wrapped around the outer edge to resemble the skin of a fish. However, it is important to read the ingredient labels very carefully. Some of the imitation fish may contain whey or casein, milk protein used as binders. Enjoy the richness of spreading one-fourth of a ripe AVOCADO on your bread or toast. Historically known as midshipman's butter, it was used in England's Royal Navy in the 1800s. It's creamy, delicious, and offers naturally beneficial fats. Consider SEED BUTTERS made from roasted sesame seeds or sunflower seeds. TAHINI (sesame seed paste) is a good source of calcium and tastes great on whole grain pita bread or crackers. If the TAHINI seems a little bland, try a light sprinkle of salt or herbs such ground cumin, just as the ancient Romans did. SUNFLOWER SEED BUTTER is available in plain or flavored varieties. FRUIT BUTTER is a delicious spread easy and quick to prepare at home. 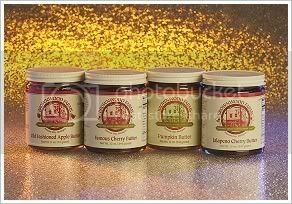 FRUIT BUTTERS can also stand in for jam or jelly on nut butter sandwiches. HUMMUS, a tasty Middle Eastern dish made from garbanzo beans, offers yet another healthy alternative to spread over breads, toast, crackers, or even whole-grain pita bread. FAVA BEANS (Broad beans) provide the base for an exceptionally tasty spread that is easily prepared in a food processor with a minimum of ingredients. Switch to EXTRA VIRGIN OLIVE OIL, or UNREFINED PEANUT OIL in small quantities, such as one or two tablespoons, when sautéing. For health considerations, the less oil used, the better. Though these three oils mentioned are high in monounsaturated fats (peanut oil is high in polyunsaturated fast), they do contain some saturated fat, a concern when preventing or reversing heart disease. 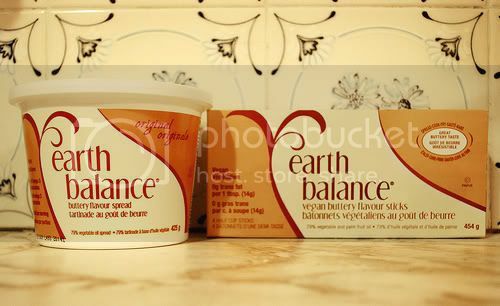 For baking pies, cakes, cookies, and quickbreads, choose EARTH BALANCE NATURAL BUTTERY SPREAD, EARTH BALANCE SHORTENING, or SOY GARDEN made by EARTH BALANCE. Each of these non-hydrogenated margarines is plant-based and contains no cholesterol. The Natural Buttery Spread and the Shortening are made from expeller pressed soybean, palm fruit, and olive oils. Soy Garden is made from crushed soybeans and other vegetable oils. Switch to SOY MILK to top your hot or cold cereal. The many varieties of SOYMILK offer plenty of options. You can find them unsweetened, lightly sweetened, very sweet, vanilla flavored, chocolate flavored, and fortified with calcium, vitamin D, and vitamin B12. WATER is nature's top choice for drinking. Enjoy several glasses a day. With so many brands of MILK SUBSTITUTES available, it's easy to discover some favorites. When searching for variety, choose SOYMILK, RICE MILK, OAT MILK, and ALMOND MILK. Each one is light and pleasing. Be sure to read labels carefully. Some of these alternative milks are rather high in sugar. PURE FRUIT JUICES that are truly 100% juice provide a pleasant change from water.To avoid consuming excess sugar, limit yourself to one glass a day, especially if you are watching your calorie intake. To create cream sauce with a delicate cheese flavor, add a tablespoon or two of NUTRITIONAL YEAST FLAKES (contains vitamin B12) along with any seasonings like dried or fresh herbs and spices to the soymilk. Then bring the sauce to a simmer and thicken, if desired. Consider RICE MILK, OAT MILK, SOYMILK, vegan VEGETABLE BROTH, and HOMEMADE NUT MILKS as alternatives to dairy products for sauces, creamed soups, and braising liquids. Each will offer pleasing flavors and textures. Experiment to discover your favorites. You'll still enjoy richness in flavor while lowering your intake of saturated fat. Switch to frozen desserts made from SOYMILK OR RICE MILK. These include vegan ice cream, yogurt, and sorbet. There are many brands that offer exceptional flavors. Enjoy the exploration for your favorites. SO DELICIOUS, PURELY DECADENT, and RICE DREAM are some brands to consider. Foods prepared at home have a special touch. Make your own delicious mousse or parfait desserts with fresh fruits and SILKEN TOFU or SOYMILK. SOY BASED YOGURTS come in a myriad of delicious flavor choices. Your local natural food market offers a number of different brands that vary in taste, texture, and sweetness. For plain, unsweetened soy yogurt, choose Wildwood. 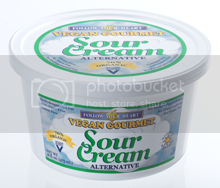 SOY-BASED VEGAN CREAM CHEESE alternatives taste remarkably like the real thing. FOLLOW YOUR HEART, TOFUTTI BETTER THAN CREAM CHEESE, and SOYMAGE are some brands available. For some fresh new ideas, you may want to switch to one or more of the SOY SPREADS that you can prepare at home. Purchase a dairy-free, SOY-BASED SOUR CREAM or make your own low-fat version in just a few seconds in your food processor. FOLLOW YOUR HEART, SOYMAGE, and TOFUTTI SOUR SUPREME are some of the brands available. Use your soy sour cream over fruit salad, as a garnish for soups, on potato latkes, on baked potatoes, or as a base for party dips. Homemade sour cream is quick and easy to make. Switch to a VEGAN CHEESE such as FOLLOW YOUR HEART, CHEEZLY, SHEESE, SOYMAGE, GALAXY RICE CHEESE, and VEGANRELLA. Occasionally, newer brands enter the marketplace. Though the textures of vegan cheeses will differ from familiar dairy-based cheese, you will appreciate the lower fat content and healthier plant-based alternatives without cholesterol. 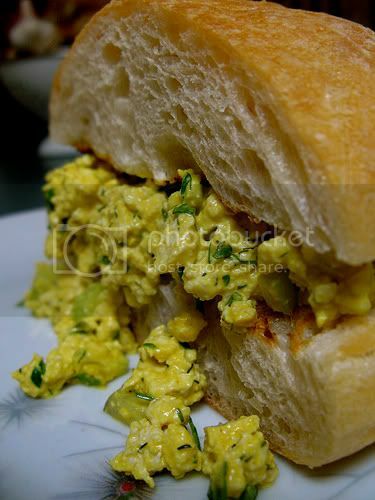 Purchase MOCK EGG SALAD made from tofu or prepare your own version from an easy, basic recipe with regular or firm tofu. Alter the seasonings or add your own special touch and it becomes your original creation. In place of scrambled eggs, enjoy a TOFU SCRAMBLE made from a simple recipe. By eliminating eggs, you'll be avoiding added cholesterol and cutting down on your intake of saturated fat. As with any recipe, experiment with the ingredients and seasonings to result in flavors and textures that please you. Your TOFU SCRAMBLE can consist of just tofu and seasonings, or you can combine your favorite vegetables in a quick stir-fry before adding the tofu. By choosing from the multitude of WHOLE-GRAIN BREADS you'll be gaining healthy fiber plus more vitamins and minerals from these natural grains. Look for words like "whole grain wheat flour" and "100% whole wheat flour" rather than "enriched wheat flour." Seek out multigrain breads for their wholesome richness in flavor and benefit from the extra nutrition. When reading the nutritional labels, choose breads that have at least three grams of fiber per slice, preferably four or five grams. The higher the fiber content of your food, the better for your digestive tract. Experiment with the many WHOLE-GRAIN PASTAS that may be new to you by discovering those made from whole wheat, quinoa, spelt, rice, corn, buckwheat, and barley. The whole-grain pastas have a higher fiber content as well as more vitamins and minerals. You can use these ALTERNATIVE PASTAS just as you would regular pasta as an entrée, in salads, and in soups such as minestrone, though you will discover that the textures have a little "tooth" to them. When using these pastas as leftovers, in most cases they will need to be rehydrated in hot or boiling water for a minute or two before adding to hot or cold salads or entrées. Explore the myriad of CEREALS made from WHOLE GRAINS. You'll notice the fiber content will be higher than those made from refined grains. You will also benefit from a full range of B vitamins lacking in refined grains, especially folic acid, well known for its importance in preventing birth defects such as spina bifida. Most whole grain HOT CEREALS take no more than five minutes to prepare. Old-fashioned oatmeal makes a great start to the day, and its soluble fiber helps to lower cholesterol naturally. Tasty whole-grain cereals include oats, wheat, buckwheat, barley, brown rice, and rye. When the ingredient list contains the words, "enriched wheat flour," you'll know it's not made from whole grain. Look for the words "100% WHOLE WHEAT." SCOTTISH STEEL-CUT OATS cereals require about 30 minutes to cook. but when you are pressed for time, try this excellent, no-cook breakfast of SCOTTISH STEEL-CUT OATS. Soak a serving portion of the oats overnight in water to cover. Next morning, drain the water and add one or more of the following: chopped fresh fruits, dried fruits, nuts, flaxseed meal, soymilk, nut milk, rice milk, hemp milk, or oat milk. The quick cooking ones, those that cook in 15 to 20 minutes, include BUCKWHEAT (or kasha), BARLEY FLAKES, TEFF, and QUINOA. BROWN RICE varieties, from long grain Basmati to the short grain glutinous rice to the unique Japonica type, require about 35 to 45 minutes, as do oat groats and cracked wheat (bulgar). Polenta (corn grits) requires about 25 to 30 minutes to cook. Long-cooking grains that require 50 to 60 minutes of cooking include PEARL BARLEY, WILD RICE, WHEAT BERRIES, SPELT BERRIES, and RYE BERRIES. RAW NUTS OR SEEDS in small quantities such as one or two handfuls a day are nutritious and satisfying. Avoid nuts that are roasted in oil--these may contain partially hydrogenated oils, trans fats that may become artery clogging. These trans fats raise LDLs (the bad cholesterol) and even lower the HDLs (the good cholesterol). Pass on the salted nuts as well. It's easy to consume an excess of salt that contributes to high blood pressure. Salt also disguises the rich flavor of nuts in their natural state. Dry roasted nuts and seeds are delicious with a pleasant crunchiness and enhanced flavor that make a nutritious snack. To dry-roast nuts at home, preheat the oven to 350 degrees (Gas Mark 4), place the nuts on a baking sheet, place it in the oven, and roast for 8 to 10 minutes. Remove the nuts to a dish to cool completely, and they will become crisp. AIR-POPPED POPCORN is an ideal snack. If you're used to heavily seasoned popped corn, you may appreciate the opportunity to discover the true taste of popped corn without the cover-ups. Many seasoned popcorn varieties contain partially hydrogenated oils and high sodium content. Choose a NATURAL PEANUT BUTTER, ALMOND BUTTER, or CASHEW BUTTER to spread on celery sticks, endive leaves, whole-grain breads, crackers, banana slices, romaine lettuce leaves, or apple slices. 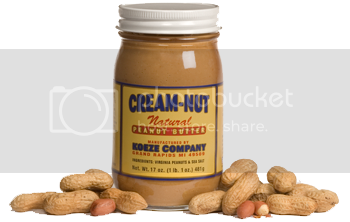 Avoid nut butters with partially hydrogenated oils, sweeteners, preservatives, or salt. The rich flavor of natural nut butters is so rewarding, you won't miss the unnecessary add-ins. 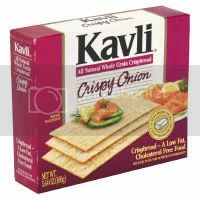 Discover the natural whole-grain flavor and high fiber of CRISPBREAD, such as RYE-VITA, KAVLI, WASA crackers instead of commercially made crackers that may contain refined flours and partially hydrogenated oils. These natural whole-grain crackers are made from 100% whole rye. Top a rye cracker with NATURAL NUT BUTTER and slices of bananas for a delicious snack. There's always CARROT AND CELERY STICKS, but have you ever tasted the crisp sweetness of fresh, raw KOHLRABI slices or the pungent flavor of BULB FENNEL, mistakenly called anise. Enjoy them in the spring when they are at their peak flavor. Even a homegrown vine-ripened TOMATO makes a satisfying, juicy, and deliciously sweet snack. A note of caution: It's best not to use any added sugars to excess. There is no nutritional requirement for added sugar to the diet and all are high in calories. EVAPORATED CANE JUICE, also known as ORGANIC SUGAR, is sugar cane that has the water removed or evaporated. This sugar has not gone through the last step in the typical refining process of granulated sugar. That step involves clarifying the sugar over charred animal bones to make it white. While evaporated cane juice may have an off-white color, it is totally vegan and has the same level of sweetness as granulated sugar. Use it just as you would granulated sugar. FLORIDA CRYSTALS is a natural milled, unrefined certified organic cane sugar that naturally occurs in crystals. This sugar contains trace nutrients from the sugarcane plant and has no additives or preservatives. Florida Crystals can be used for cooking and baking just as you would granulated sugar. Environmentally conscious, this company's product is certified carbon-free to help reduce carbon emissions. MAPLE SYRUP is the natural sap taken from maple trees, and then boiled until syrupy. It's an ideal sweetener for pancakes, waffles, smoothies, beverages, and all varieties of baked goods. Use 2/3 cup to 3/4 cup in place of 1 cup of granulated sugar. When baking, add 1/4 teaspoon baking soda for each cup of maple syrup. Purchase U.S. organic maple syrup to avoid illegal formaldehyde pellets some producers add during processing. Once the container is opened, keep it refrigerated. AGAVE NECTAR is a liquid sweetener similar to honey and is extracted from the agave plant, a large succulent with thick fleshy leaves and spiny edges. In recipes, use 25% less AGAVE NECTAR or 3/4 cup in place of 1 cup of granulated sugar. Reduce the recipe's liquid by one third and lower the oven temperature of baked goods by 25 degrees. BARLEY MALT SYRUP is a thick honey-like substance made from barley that has gone through a soaking and drying process to extract its sugar. Considered half as sweet as granulated sugar, BARLEY MALT SYRUP is an ideal substitute when you need a delicate sweetness. Use 1 1/3 cups BARLEY MALT in place of 1 cup of granulated sugar and reduce the recipe's liquid by one-fourth. When baking, add 1/4 teaspoon baking soda per cup of BARLEY MALT. 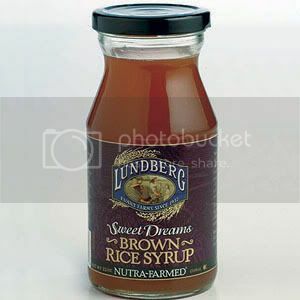 BROWN RICE SYRUP is similar to barley malt syrup in its degree of sweetness and its thick honey-like texture. This sweetener is not recommended for baking cakes or breads because it creates a soggy texture. Use it for sweetening tea or other hot beverages, smoothies, and blender juices. For granola, pies, cookies, puddings, and fruit crisps, use 1 1/3 cups BROWN RICE SYRUP in place of each cup of grranulated sugar and reduce the recipe's liquid by one-fourth. Add 1/4 teaspoon baking soda per cup of BROWN RICE SYRUP. Refrigerate the container after opening. MOLASSES makes a good substitute for sugar in baking breads. Because of its pungent, distinctive flavor, it's best used in small amounts. Molasses shines as a beverage called liquid toffee. To make this treat, put 1 teaspoon of molasses into a coffee mug and fill it with boiling water. Stir it well, then taste. If needed, adjust the quantity of molasses. Drink and enjoy. WHOLE DATES are ideal to sweeten blender beverages like smoothies and shakes as well as parfaits and fruit mousses. Chop the dates and add them to breads, cookies, granola, fruit salads, and many baked desserts. Combine dates and finely ground nuts in the food processor to create a tasty no-bake pie crust for raw desserts. Treat yourself to a host of delicious FRUITS IN SEASON. The sweetness of fresh fruits will almost always satisfy the craving for that "something sweet" while supplying healthy nutrients as well. Fresh or frozen FRUIT SMOOTHIES and parfaits sweetened with dates are cooling and refreshing treats, especially in the summer. Blend them with soymilk or soft silken tofu for a rich, yet healthful, high-protein dessert. Replacing eggs is the most challenging aspect of vegan baking. They bind, leaven and give structure to baked recipes. However, they can be replaced, and with pleasing results. 1 Tablespoon flaxseeds plus 3 Tablespoons water replaces one egg. Finely grind 1 tablespoon whole flaxseeds in a blender or coffee grinder, or use 2 1/2 tablespoons pre-ground flaxseeds. Transfer to a bowl and beat in 3 tablespoons of water using a whisk or fork. It will become very gooey and gelatinous, much like an egg white. In some recipes, you can leave the ground flax in the blender and add the other wet ingredients to it, thus saving you the extra step of the bowl. Flax seeds have a distinct earthy taste. 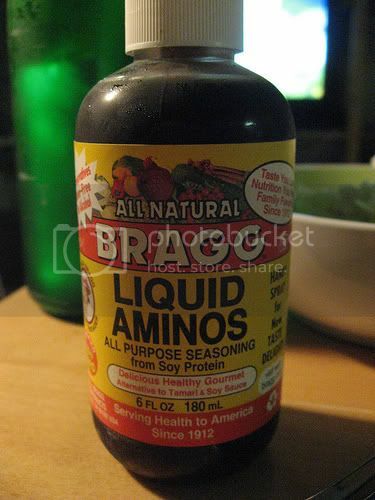 It tastes best and works very well in things like pancakes, and whole grain items, such as bran muffins and corn muffins. It is perfect for oatmeal cookies, and the texture works for cookies in general, although the taste may be too pronounced for some. Chocolate cake recipes have mixed results, I would recommend only using one portion flax-egg in those, because the taste can be overpowering. Always store ground flaxseeds in the freezer because they are highly perishable. This mixture is not only an excellent replacement for eggs, it also contributes vital omega-3 fatty acids. 1/4 cup blended silken tofu = 1 egg. Whiz in a blender until completely smooth and creamy, leaving no graininess or chunks. 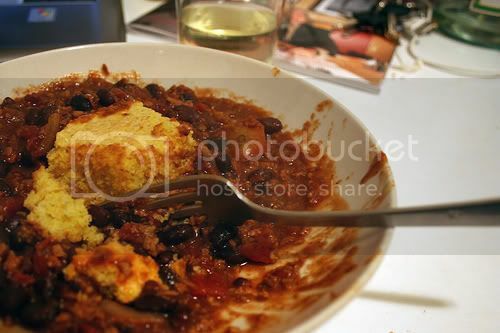 You will want to add other wet ingredients to this mixture to get it to blend properly. I recommend vacuum packed extra firm silken tofu, such as Mori-Nu. Dense cakes and brownies, and in smaller quantities for lighter cakes and fluffy things (if the recipe calls for 3 eggs only use 2 "tofu" eggs"). 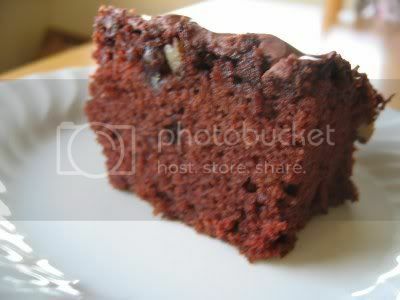 Whizzed tofu leaves virtually no taste, so it is an excellent replacer in cake recipes. In cookie recipes, it may make the cookie more cake-y and fluffy than anticipated, add 1 teaspoon of starch to the recipe (such as arrowroot or corn starch) to combat that. It may make pancakes a little heavy, so it is not recommended as a quick replacement for eggs in pancakes, although it could work well with a little experimentation. Health food store shelves, and in some supermarkets. Many people swear by this egg replacer.Use in all baking that requires a few eggs. It seems to work best in cookies, or things that are supposed to be a little crispy. 1/2 banana blended until smooth or mashed well = 1 egg. Bananas work wonders as an egg replacer in baking, which is the reason many banana bread recipes don't require eggs. They hold the air bubbles well, make things nice and moist, and impart a nice flavor. However, you don't want everything tasting like banana, so use in things where the taste won't be intrusive. I've also noticed that baked goods using banana brown very nicely. Tip: Make sure bananas are nice and ripe and have started to brown. 1/4 cup soy yogurt = 1 egg. Soy yogurt works a lot like whizzed tofu as an egg replacer. It makes things moist and yummy. This is a no-brainer. Use soy, rice or almond milk. Butter milk? Add a teaspoon of apple cider vinegar or lemon juice to your milk and let it sit for a couple of minutes. 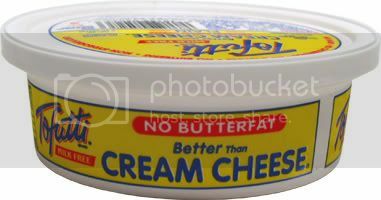 Instead of butter try margarine. You can use any vegetable oil, just reduce the amount. If a recipe calls for one stick of butter, which is a half cup, I use 1/3 cup of oil. You can also try prune puree which will also obviously reduce the amount of fat. To use, puree 1/2 cup of pitted prunes with 1/4 cup of water. You will want to reduce the amount used, or the final product may be too moist. If the recipe calls for a half cup use 1/3 cup instead. You may also want to add a little oil, maybe a tablespoon per cup of fat needed, because a little fat goes a long way in taste and texture. 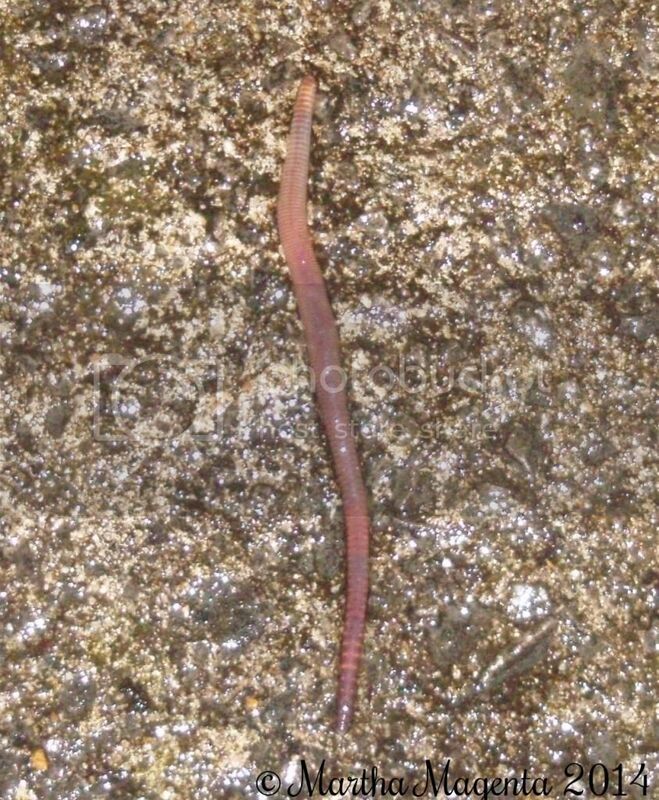 Who rescued an utvum from a sure sticky end. She heard him crying, when she entered the store. And now he lay dying between the glass doors. Busy shoppers walked past him, cold and uncaring. So she had to help him, but people were staring. As she desperately tried to save utvum from harm. The guards took a dim view of her daring rescue. Was seized, and then roughly thrown out of the mall. And you will be born as an utvum one day!"